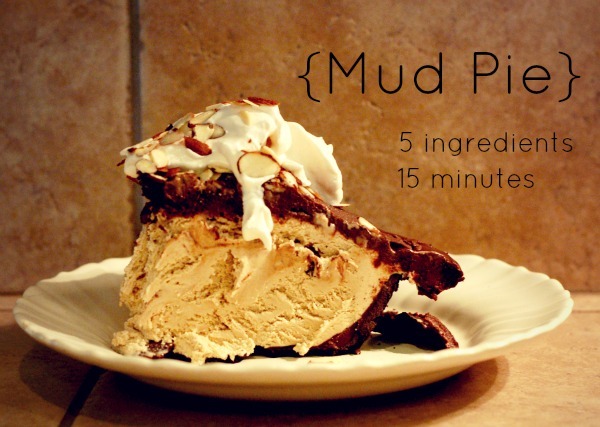 Requested by my husband for his birthday :: MUD PIE! Have you made this before? It's pretty much the most adaptable chocolate thing you can make. When it's warm, you can drizzle or spread it over cakes, dip cookies in it, spoon it over ice cream...It can also be beaten with a mixer to create a frosting...Or let it harden in the fridge, scoop out balls to roll in nuts or cocoa powder & you have truffles. Two ingredients! Ganache rocks. Plus, you can keep it in the fridge for a couple of weeks. Heat 1/2 c cream on the stove or microwave until it's simmering. 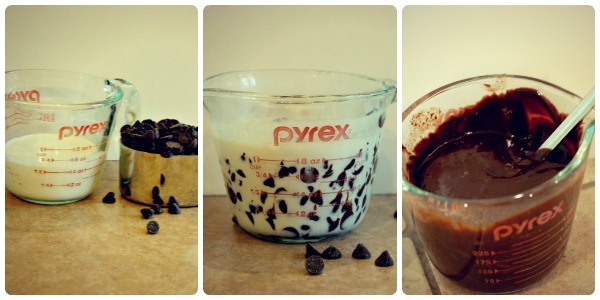 Add the chocolate chips and stir until it's thick and incorporated. Presto! Ganache! After 10 min in the freezer, the ganache is pretty frozen on the crust. 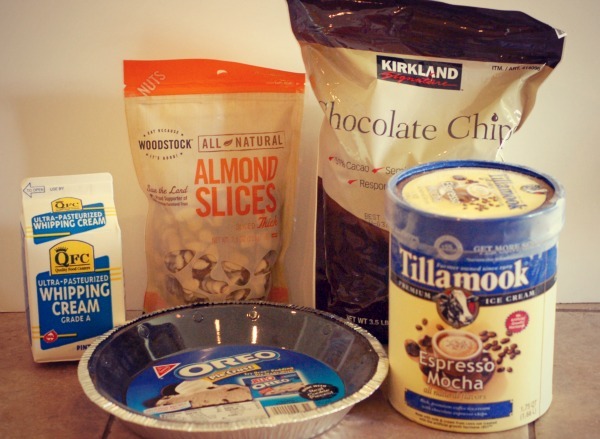 Spoon out the softened ice cream into the crust (all of it!). Pop into freezer for at least 15 minutes to harden. You can also do this a day ahead. Pour the ganache out on top of the frozen ice cream. You want it to be slightly warm, but not hot or it will slip off and pool around the sides. You really can't mess up here. 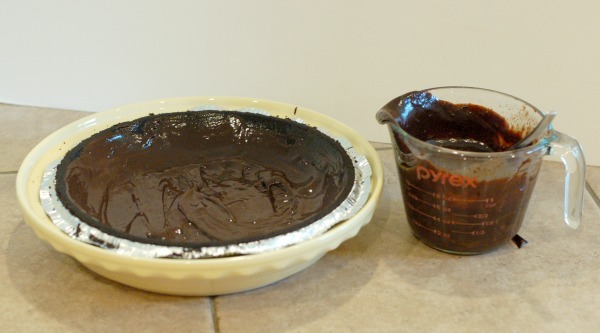 If it does pool around the sides, put the ganache into the freezer for a few minutes to cool off and start again. 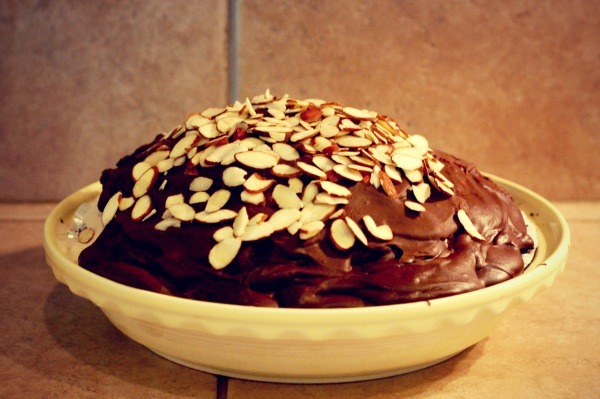 Once the ice cream is fully topped with ganache, sprinkle on as many nuts as you wish. Return to freezer or serve like this. I then put the remaining 1/2c of whipping cream into a cold metal bowl & used the hand mixer to make whipped cream. Add a little bit of real vanilla extract and it's perfect. So delicious. Whip until stiff peaks form. 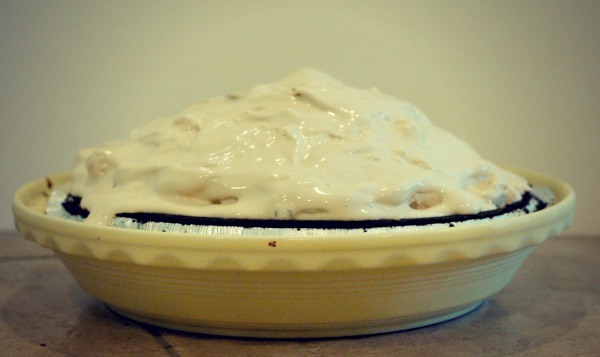 I've made this pie a dozen times over the years and I used to make the cookie crust from scratch. It's not necessary. The pre-made one is just as delicious, there's no clean up and it's priced the same as the scratch ingredients! Halfway homemade!